- Dlaczego wirujące jajko wstaje? Zapraszam do poczytania na ten temat, jak również przeprowadzenia doświadczenia w domu. W tekście znajdziecie kilka linków, które jeszcze bardziej rozwijają temat. 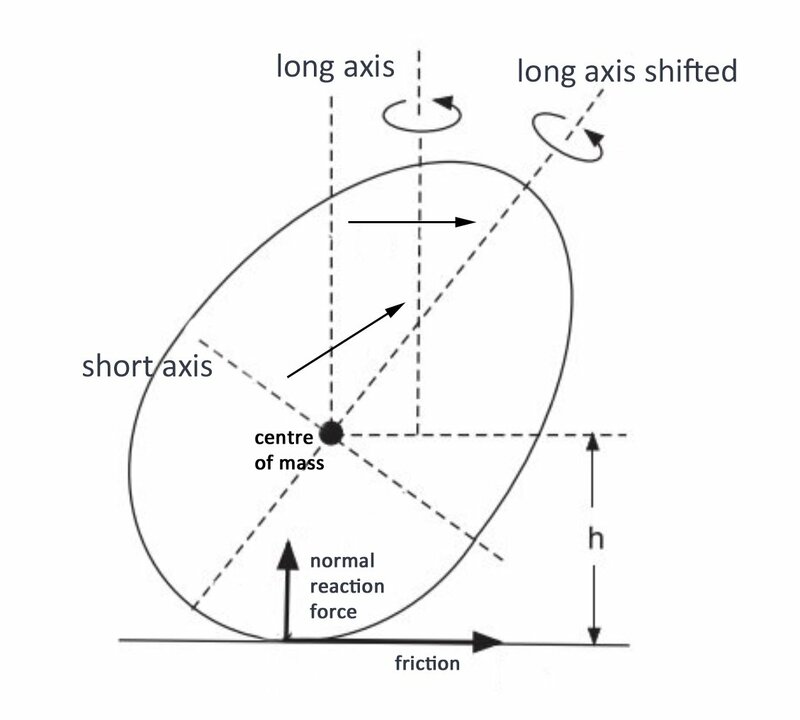 This difference between its centre of mass and mid-point causes the egg to wobble, which in turn makes the egg start to rise, tilting the angle of the short axis as the egg is spinning around. This shifting angle of the short axis is called precession - a term used to describe the changes in orientation of a rotational axis. The precession of the short axis is the result of normal reaction force (the table pushing back against the egg's contact point). But as you can see if you look closely in the video below, the egg is also rotating more slowly around a longer, almost horizontal, axis - all while it spins around its short axis.